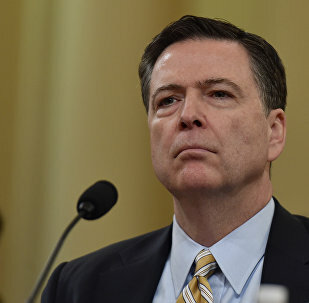 ​On May 9, the White House announced President Donald Trump's decision to remove James Comey from the Federal Bureau of Investigation (FBI) director post on recommendations of the US attorney general and his deputy. US President Donald Trump confirmed in a statement on Friday that he is under investigation for the firing of former Federal Bureau of Investigation (FBI) Director James Comey. US President Donald Trump intends to listen to the testimony of former FBI Director James Comey along with members of his legal team, US media reported on Thursday. Despite catching flak for how he fired former FBI Director James Comey, President Donald Trump still has better approval ratings among US residents, according to a new Harvard-Harris poll. The US Senate Intelligence Committee requested additional information from former Federal Bureau of Investigation (FBI) Director James Comey and Acting Director Andrew McCabe regarding the ongoing Russia probe, the panel's chairman Richard Burr announced in a statement on Wednesday. 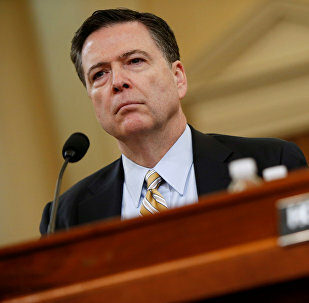 Former FBI Director James Comey will likely testify before the US Congress soon about the investigation into President Donald Trump’s alleged ties with Russia and conversations the two had, House Intelligence Committee ranking member Adam Schiff said at a press conference on Wednesday. The Department of Justice should investigate whether US Attorney General Jeff Sessions violated his pledge to recuse himself from the Russia investigation by directly intervening in the termination of Federal Bureau of Investigation (FBI) Director James Comey, eleven Democratic senators wrote in a letter on Wednesday. The memorandum former Federal Bureau of Investigation (FBI) Director James Comey wrote after his meeting with President Donald Trump in February requires closer examination as it leaves some questions unanswered, US House of Representatives Speaker Paul Ryan said in a press conference on Wednesday. 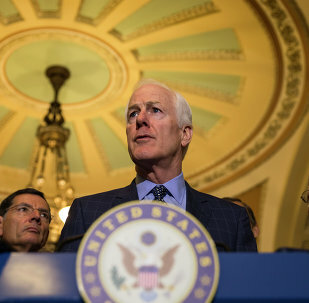 Member of the US Senate Intelligence Committee John Cornyn announced on Tuesday that he is not interested in serving as the next director of the Federal Bureau of Investigation (FBI). US President Donald Trump said on Monday the search for a new director of the Federal Bureau of Investigation (FBI) is making progress quickly. 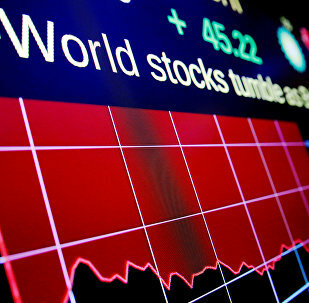 The US government institutions are experiencing "sweeping erosion" of public trust amid the recent termination of FBI Director James Comey and declining approval ratings, Senator Ben Sasse said in an interview on Monday. 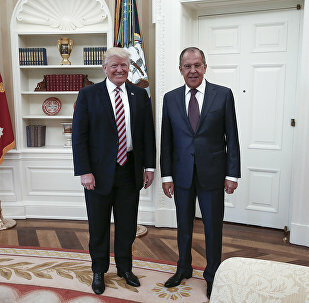 Following the surprise dismissal by President Trump of the ex-FBI Director James Comey, Sputnik Deutschland talked to German political analyst Lora Anne Viola and journalist and filmmaker Dirk Pohlmann, who said that the US leader did not have any real reasons for this move and that it plays into his opponents' hands. An early Friday morning tweetstorm from US President Donald Trump to ex-FBI Director James Comey saying that he 'better hope that there are no 'tapes' of our conversations before he starts leaking to the press" stirred up US media speculation over whether it was a warning or a threat. 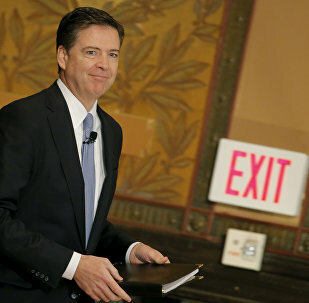 More people in the United States disapprove than approve of Donald Trump’s controversial decision to fire Federal Bureau of Investigation (FBI) chief James Comey, a poll found Friday. 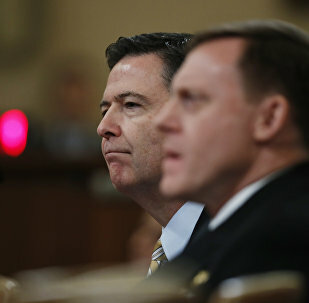 US Senate Intelligence Committee Chairman Richard Burr suggested Friday that the firing of FBI Director Comey could hardly be linked to the probe into President Trump's alleged links to Russia, simply because investigators haven't got any evidence to prove the collusion took place. The aftermath of US Donald Trump firing former FBI Director James Comey sees ongoing conflict among both the Democratic and Republican wings of the US political establishment, as acting director Andrew McCabe recently sat in for for his former boss at a Senate Intelligence hearing on Russia focused on Russia. The US House Democrats have demanded that the White House hand over to the Congress the tapes of the January dinner between US President Donald Trump and former FBI Director James Comey. The White House announced Friday that the quest for the new FBI Director is on. 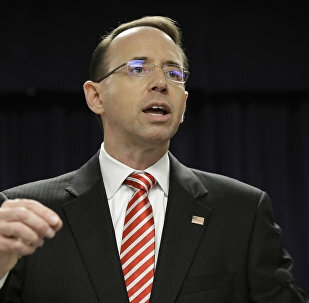 US Deputy Attorney General Rod Rosenstein will brief the Senate on the dismissal of FBI Director James Comey, the office of Senator Chuck Schumer said in a statement on Friday.